Complete your Green Hornet costume with this Green Hornet Gun accessory piece! 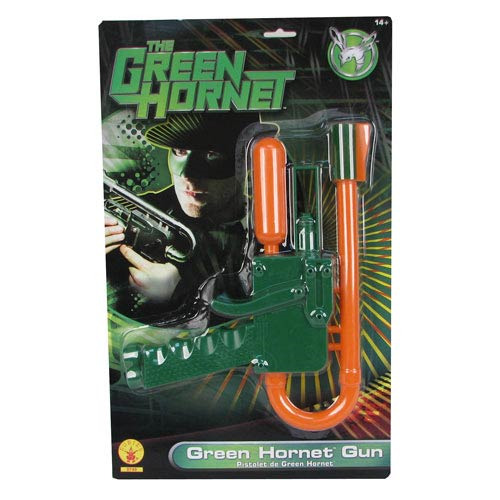 Modeled after a gun used in the Seth Rogen movie The Green Hornet by Britt Reid's superhero alter ego, this plastic green, black, and silver gun makes a great gift for fans of both the character from the original radio program in the 1930s and the action comedy film The Green Hornet directed by Michel Gondry. You'll love the cool, exaggerated look of this uniquely designed Green Hornet Gun!